Tidal Creek with southeastern exposure. Open floor plan with split bedroom design. New kitchen w/granite raised bar, gas stainless range and custom hood, pantry and breakfast area. Hardwood floors and new carpet in bedrooms. Open dining room. Three bedrooms share updated bath with marble counters and new flooring, fixtures and paint. Vaulted ceiling great room with built-in bookcases and updated fireplace with masonry hearth. NEW SCREENED PORCH (13 x 40) with stacked stone fireplace. Downstairs features game room with barn slider doors & brick face floors, full size or could be home office and full bath. Room for kitchenette. Three car garage and workshop area. 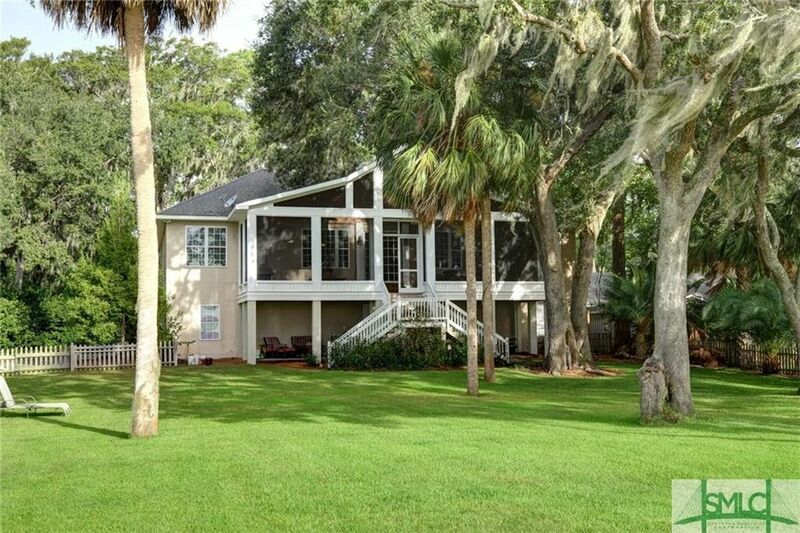 (1607 sq ft) Drive your golf cart down earthen peninsula to tidal creek. Easy to add dock and boat lift for quick access to deep water. Directions: Johnny Mercer to Penn Waller - right on Walthour - property on left - easement to rear property.